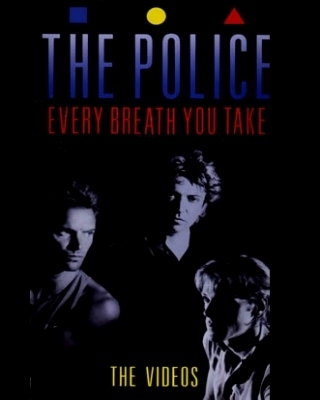 This is a useful collection of 14 classic Police tracks encompassing their career from 'Roxanne' through to the 1986 remake of 'Don't Stand So Close To Me'. Pretty much all of their singles - which had promo videos - are here. As different versions of some of the videos exist, here's a quick run through of some of what is included on this release. 'Roxanne/Can't Stand Losing You': These videos are the 'UK' versions. The US have different videos of both of these songs, often referred to as the Red Backed Promos which were recorded in Los Angeles. The UK versions have live clips and show fans etc. 'Don't Stand So Close To Me': This version is the 'classroom' video. There is another video known as the 'snow' version. Our guess is that it was filmed in Grey Rock, Quebec in November 1980 at the same time as the 'De Do Do Do, De Da Da Da' video. 'Every Little Thing She Does Is Magic'/'Spirits In The Material World': Both of these videos were filmed at Air studios on Montserrat. They featured in the UK show Montserrat '81 (broadcast by the BBC). This excellent documentary covered the recording of the 'Ghost In The Machine' album. The show also included the tracks 'Demolition Man' and 'One World' both of which very similar to the 'Spirits' video.